Although long distance travel on the Indus River is no longer feasible due to the construction of barrages and dams, local trade of firewood and other daily necessities is still moved up and down or across the river. 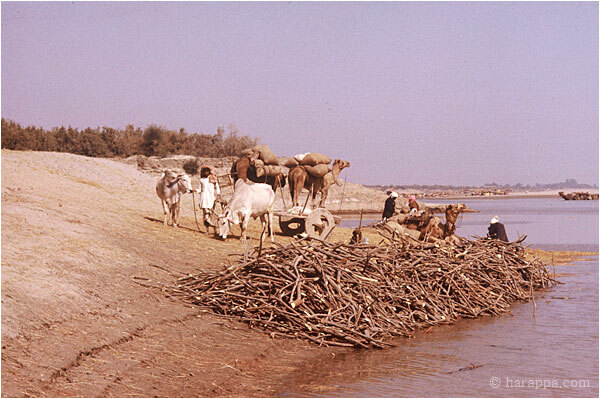 Camels carrying grain wait for the ferry boat and an ox cart waits for passengers from across the river. A large pile of wood lies ready to be shipped down stream.